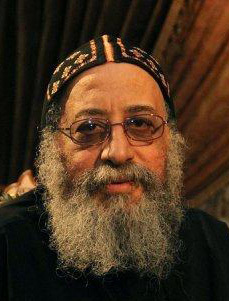 Bishop Tawadros, the Auxiliary Bishop of Buheira, was chosen through the process known as the Altar Lot today from the three previously selected finalists to fill the throne vacant since the death of Pope Shenouda III earlier this year, becoming the 118the Pope of Alexandria and Patriarch of All Africa and the Preaching of Saint Mark, that is, the head of the Coptic Church. A child chosen from the congregation, Bishoy Gerges Mossad, was blindfolded and selected the lot with Tawadros' name on it, which was then announced by the locum tenens or Acting Pope, Bishop Pachomius. 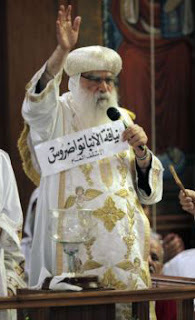 As it happens, today was also Bishop Tawadros' 60th birthday. Born Wagih Subh Baki Suleiman onNovember 4, 1952 in the Mansura region, Tawadros took a degree in pharmacy in 1975. He has been a monk since 1988 and a bishop since 1997; he was an Auxiliary Bishop to Bishop Pachomius, the Acting Pope, who is Bishop of Buheira. He's considered more a pastoral than a polarizing political figure. 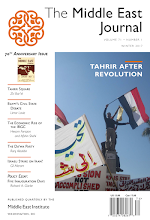 The difficult transitional period since the revolution and the growing strength of the Muslim Brotherhood has polarized sectarian feelings at the time the Copts had no clear communal leader, so this is likely to be a major initial challenge to the new Pope. Tawadros is the Coptic form of the Greek name Theodoros (Theodore) and the new Pope will be known as Tawadros II. Ironically the current Eastern ("Greek" or Chalcedonian Orthodox) Patriarch of Alexandria is known as Theodoros II. The new Pope will be formally installed two weeks from today on November 18.